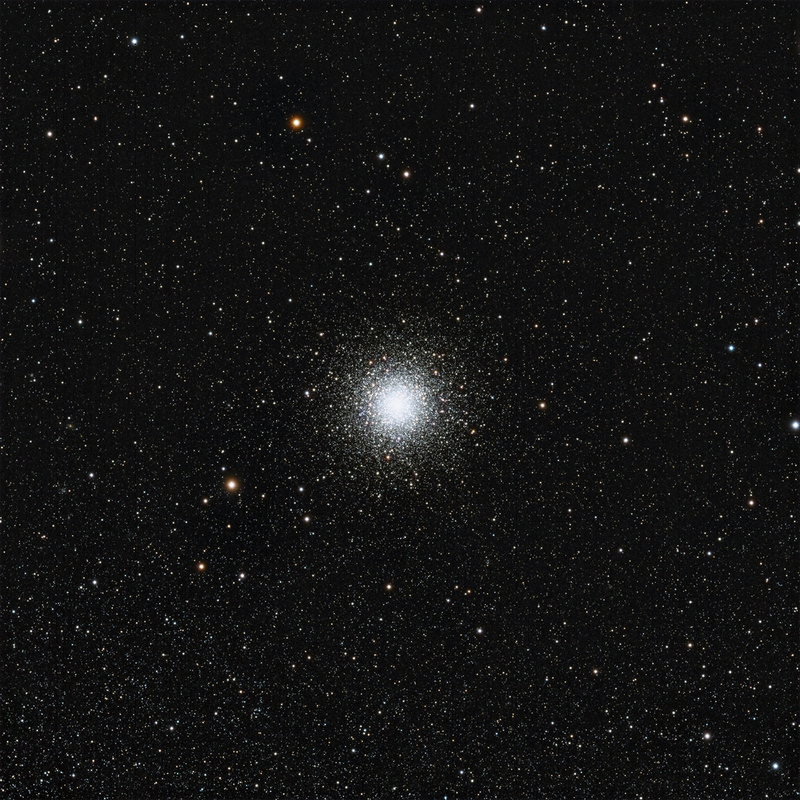 NGC 362 in Tucana is a peculiar object as globular clusters go. It has higher metallicity than most globulars implying it is a relatively young cluster, perhaps some 3 billion years younger than other globulars in the Milky Way. It also has a highly eccentric orbit through the Milky Way, coming within 3300 light-years of the galactic center. Discovered August 1, 1827 by noted Scottish astronomer James Dunlop while working at the Parramatta Observatory in New South Wales, Australia, it was listed as the 62nd object in his Catalogue of Nebulae and Clusters of Stars in the Southern Hemisphere. NGC 362 is in a sky location superimposed upon the extreme northeast edge of the Small Magellanic Cloud (SMC), however it lies a mere 28,000 light-years from Earth compared to the SMC, which is 210,000 light-years distant.